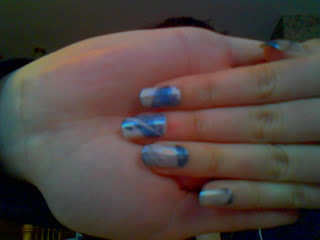 This is my first try at Water marbling. I really like the result of this technique but I hate how long and messy it is... 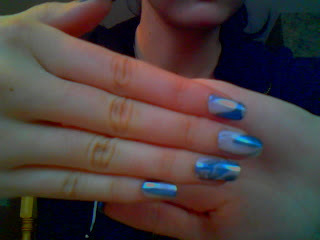 This is with Party in the Penthouse by Nicole OPI and Silver Bullet by Rimmel.